Our team of specialist engineers have been providing support to ICT schools in London and across the south-east Home Counties since our inception in 1992. We ensure your school’s ICT is functioning smoothly, enabling the school to focus on teaching without any ICT related stress. Our aim is to ensure teachers, pupils, and admin staff are not only utilising the most up to date technologies across the whole school but, more importantly, having confidence in the technology itself. 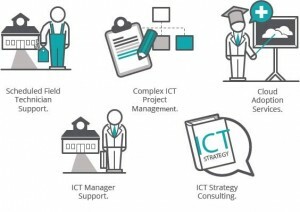 Our ICT managed services enables the self-belief you require to ensure all learning objectives are met and, in turn, allows teachers to focus on the curriculum delivery as opposed to ICT maintenance. We do also recognise that every school is different and therefore, we evaluate your ICT hardware and software and strive to ensure your support package is in line with your computing needs, ultimately, ensuring value for money and accommodating different budget requirements. Depending on in-house ICT experience, we offer Bronze (Ad-Hoc or trouble-shooting) and Silver (Site Call-outs) packages to suit the schools budgets. If you don’t have any in-house ICT experience or you want to free up your in-house ICT resource, we would recommend our Gold Package. As part of the Gold Package service agreement, you would get regular and reliable fixed number of days per week onsite technical support from a dedicated engineer who is assigned to your school. This allows a good working relationship to be formed and also means that the engineer builds up a better understanding of your requirements and how your school operates. 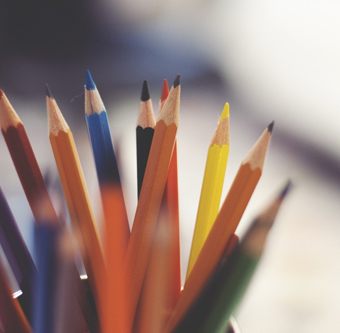 With contractual support, we do not tie your school down by any long term tie in clauses. If for any reason you are not happy with the services Compubits provides, you will be free to withdraw from the contract with no penalties. Or simply sign up for our monthly rolling contract. What’s the difference between the IT support options? Please see below the list of support packages and options included. * Due to the nature of the industry we cannot guarantee a response time but always use our best endeavours to ensure that these targets are met. Our service levels are the reason we retain schools and gain the majority of new schools via referral. How Do Gold and Silver Support differ? Gold Support has Engineer Onsite for Fixed Day(s) per week as well as Onsite Call-Outs – Comprehensive cover for your school including scheduled on-site day(s) per week from our engineers as well as additional next business day onsite call-outs. You can utilise their time much more diversely than normal Break-Fix contracts, although excludes specialised services, for example, network cabling, installation of WiFi Access Points to name a couple. Silver Support includes fixed number of Onsite call-outs per year – This option allows the school to call engineers to fix issues onsite when required on a 1-2 working day basis. This way we can keep costs down and only charge for additional work when a site visit is outside agreed parameters. Both the Gold and Silver packages require a full, schoolwide audit to ensure that all relevant information regarding your network and requirements is captured and the support plan scaled to fit your business. Additionally, both plans benefit from unlimited telephone and remote support. The school benefits from a no-surprises, fixed price service which ensures you know how much you will spend on your support and budget accordingly. This means that schools don’t have to worry about additional costs if they send in a support request and we can respond much more quickly without having to sign off service requests. Both Gold and Silver support packages are provided on a fixed price, pre-paid annual or quarterly contract, with a further discount for our 3-year fixed price contract (which protects the school from ever increasing costs). The charge for both Gold an d Silver packages are based on the number of classrooms (with the ICT Suite counting as one unit) and then extra charge for the schedule engineer day(s) per week onsite (for the Gold package only). Each support pack contract is delivered against a full Service Level Agreement (details available on request). This outlines all response times for support requests and defines how these are prioritised according the contracted package. We recognise that some schools have small budgets due to their size, or already have an ICT Co-ordinator or Technician employed and there is only an incidental need for onsite engineer call-outs but more regular remote and telephone support from our specialist engineers. Some schools like the flexible approach and ability to control support requests internally, others require support when carrying out more complicated tasks, to provide holiday or sickness cover or just to help out during busy periods. Hence our Bronze package which is essentially a Pay As You Go package. Our Bronze Pay As You Go IT support schools benefit from all of the services offered to those on a Gold or Silver contract (this includes remote and on-site support), but we agree the terms and charges to meet requirements on an annual basis. All time is charged at a fixed call-out or hourly rate with a full service activity breakdown report showing all work carried out during the visit. Response times are as per pre-agreed SLA and charges reflect each request’s response requirement. Contact Compubits to discuss your specific requirements.